This is a recipe for something approximating that red-dyed chicken in the restaurant. I adapted this recipe from about 5 I found on the Internet. 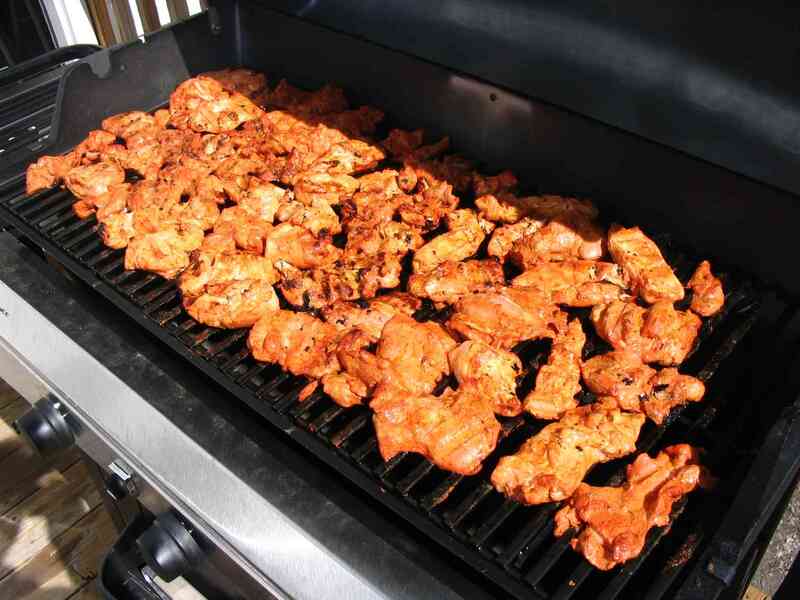 Like most who live in this country, I have no tandoor oven, so I do this on the barbecue. This doesn’t come out with the same red color as in the restaurant where this may be done by rub rather than by marinade, but this dish does come out colored and tasty. The color can be controlled to a great extent by the red food coloring and tumeric. 1. Skin, defat and wash the chicken. Make some slits in the meat to allow the marinade’s coloring to penetrate. Set aside or dry. 2. In a large bowl, prepare and place all the ingredients in the above list. Fresh-ground spices are more potent; if you aren’t grinding your own cumin and coriander, then you may need to use more than what is listed here. 5. 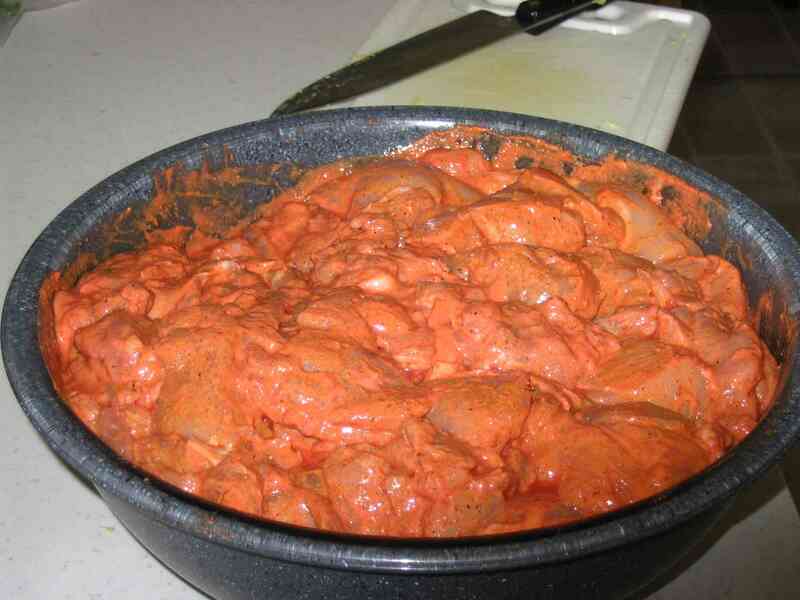 Remove meat from heat and serve with masala or other curry dish, naan and rice.